Grew up with KK Dubrovnik and KK Zadar (Croatia) juniors. Signed for the 2004-05 season by KK Zagreb. On January'10 moved to Spain, signed by Real Madrid CF. Signed for the 2012-13 season by FC Barcelona. Named to the 2012-13 and 2013-14 All-EuroLeague First Team. Named 2012-13 EuroLeague February MVP. Named 2013-14 EuroLeague February and March MVP. Named 2012-13 EuroLeague Week-7 and Top 16 Week-1 MVP. Named 2013-14 EuroLeague Top 16 Round 7 and 8 MVP. Named 2014-15 EuroLeague Top 16 Week 10 MVP. 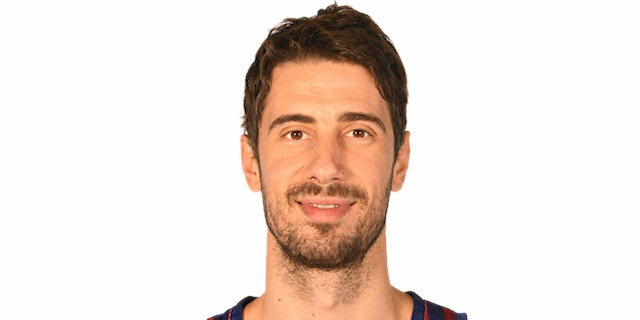 Named 2018-19 EuroLeague Round 24 MVP. Won the 2008 Croatian National Cup with KK Zagreb. Won the 2012 Spanish National Cup with Real Madrid CF. Won the 2013, 2018 and 2019 Spanish National Cup with FC Barcelona. Won the 2015 Spanish Super Cup with FC Barcelona. Played the 2008 Croatian All Star Game. Won the gold medal at the 2009 Mediterranean Games. Played at the 2011, 2013 and 2015 European Championships.